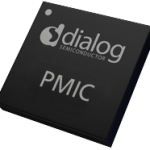 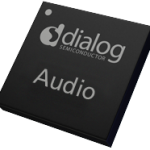 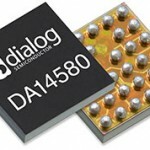 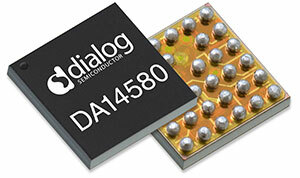 Dialog Short Range Wireless Technology BTLE / AZIO Electronics Co., Ltd.
SmartBond™ – part number DA14580 – is the world’s lowest power and smallest Bluetooth® Smart System-on-Chip (SoC). 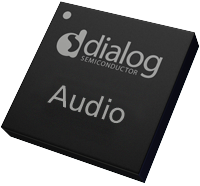 It more than doubles the battery life of an app-enabled smartphone accessory or computer peripheral in comparison to competing solutions on the market. 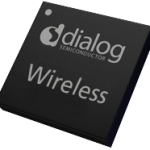 SmartBond is designed to connect keyboards, mice and remote controls wirelessly to tablets, laptops or Smart TVs and enables consumers to use innovative new apps on their smartphones and tablets ‒ connected with watches, wristbands and smart tags ‒ to “self-track” their health and fitness levels, locate lost keys and much more.